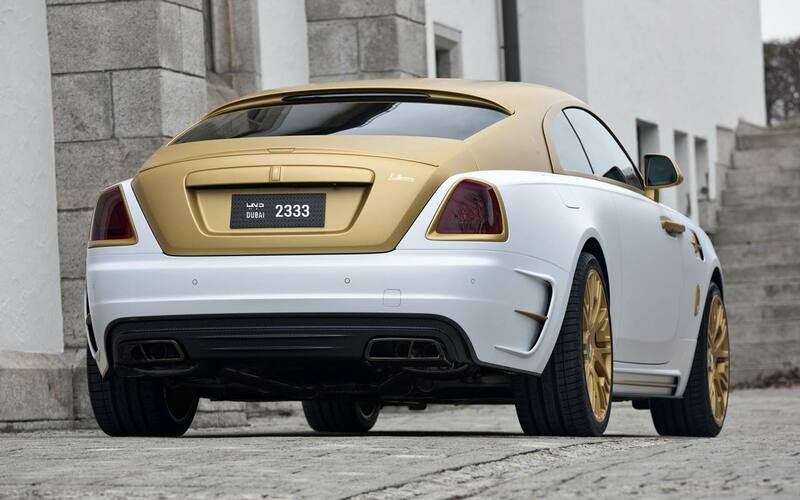 Rolls Royce Wraith is known as one of the best luxury cars in the world. Rolls Royce Wraith offers a splendid experience. Classical design, attractive looks, luxurious interior and powerful driving are among the few reasons that makes it a top choice for luxury car rentals among people visiting Dubai. This is the most powerful and technologically advanced Rolls Royce that has been created in history. Wraith is equipped with a 6.6L Twin Turbo charged V12, which delivers 624 hp with 800 Nm of torque. It accelerates from 0 to 60 mph in only 4.4 seconds, which is a great accomplishment for such a heavy looking car. In addition to its powerful engine, it is equipped with an electronically adjustable air suspension, which is so smooth that it creates a feeling of the “magic carpet ride”. The Wraith is derived from the Ghost, but it has its own distinct—some might say sporting—personality. With a 624-hp version of the Ghost’s V-12, the wheelbase is shorter and the fastback body is unique. The Wraith is quicker and nimbler than the Ghost, with a light touch to the steering and a gently controlled ride. Rolls tradition abounds, with rear-hinged power doors, the available Starlight headliner, and an array of options that can launch the already-lofty base price into high orbit. Rent Rolls Royce from Rotana Star Luxury car and Sports Car rental in Dubai and we’ll be happy to make your experience unforgettable. 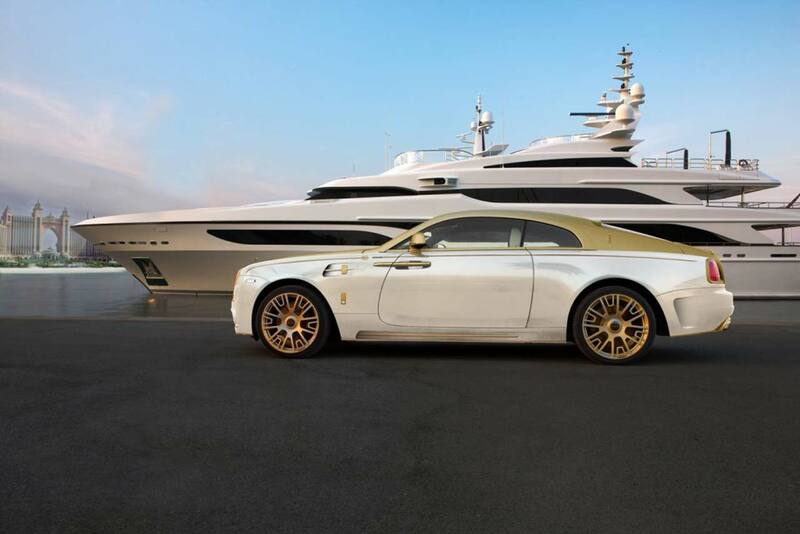 The refined luxury is displayed all around this gorgeous vehicle. Wraith is the automobile for the self confident and wealthy people. The interior of it is fully detailed with fine leather, soft wool carets and elements of chrome furnish all over the cabin. The exterior of the car speaks of itself, it’s a very powerful looking ride with an elegant silhouette. Rolls Royce has endowed this creature with a two-tone color combination to better demonstrate the streamline of its elegant curves. Being the most technologically advanced vehicle of Rolls Royce, it’s no surprise that Wraith has such technologies as a Satellite GPS system that allows the car to predict the traffic movement on the road ahead. Another contemporary function that this machine is equipped with is the Wireless support, which allows you to remain connected to the cyberspace during your whole trip. In the modern world it is simply impossible to stay away from the internet connection. And if you need to work from your laptop while you are being chauffeured around Dubai by a professional luxury driver, Rolls Royce Wraith will provide you with a great experience you can enjoy all day long and never get tired of. Driving this luxury car rental will be a true pleasure for you. 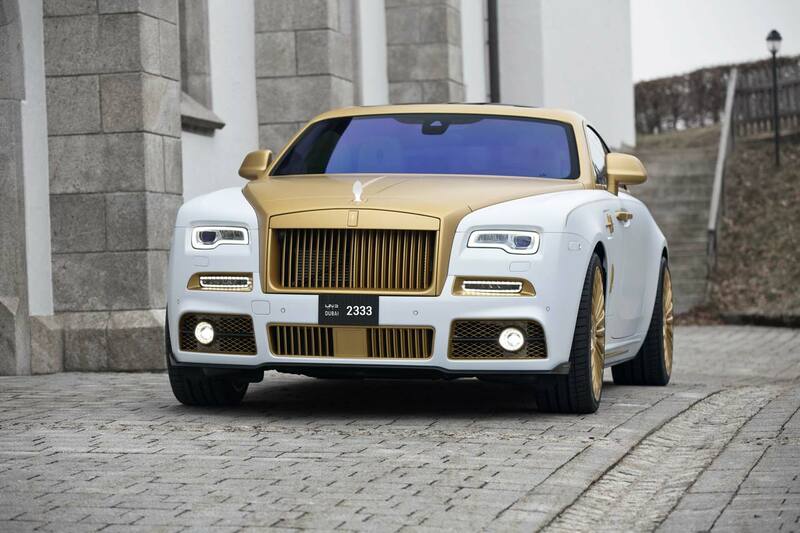 Rent a Rolls Royce Wraith in Dubai. We strive to provide the best service in the area. At Rotana Star , we have many years of experience in the hire car field. As a result, we can bring value for money and top-notch service – guaranteed. A key reason for this is because we own our entire fleet of vehicles. This means we have more flexibility on price, unlike our competitors, who often lease their cars on a long-term basis. At Rotana Star, we make the process to hire a Rolls Royce Wraith for rent easy. The first step is the browse our website to find a suitable price. After this, contact us by sending in a request via our online form or by telephone. We aim to get back in touch soon after to finalize the deal. When the time comes to deliver the car, we offer two options: either pick-up the car from our Dubai showroom or take advantage of our popular door-to-door delivery service. Our premium car rental services allow you the chance to rent a Rolls Royce Wraith in Dubai or other Luxury brand cars at affordable rates. Book online or over the phone and collect your rent a car or get it delivered in Dubai.